Team Lakay entered the year four ONE Championship titles, as the calendars switched to April all four belts now belonged to somebody else. A consolation to get back two of them, however, was quickly announced by ONE just moments after the ending of these bouts with controversial results. Joshua Pacio, one of the recepients, is seeking redemption on his rematch against Yosuke “Tobizaru” Saruta of Japan at the co-main event of ONE: Roots of Honor to be held this Friday, April 12, 2019 at the Mall of Asia Arena. Both Pacio and Saruta promised to take each other out and make the result decisive this time, much unlike the first time that ended in a split decision. “That fight showed me a lot of things that I needed to work on in my game,” Pacio said in an article by ONE. “I hope to showcase the things that I wasn’t able to show in January. I need to be more aggressive, especially being the challenger. I’m hungry to prove myself again and bounce back. He’s [Saruta] very athletic and strong. I know that this won’t be an easy task, but my team and I have a perfect game plan for this fight”, he continued. Saruta, meanwhile, was keen on not letting Pacio take back what he owns now, even if the bout is held in “The Passion’s” home. “My focus right now is to keep this belt. I’m stronger than last time. I have confidence that I can defend. I will knock him out before he will knock me out”, he said to ONE. Also set to see action along with Pacio in ONE: Roots of Honor are brothers Edward “The Ferocious” Kelly and Eric “The Natural” Kelly. The Ferocious is coming off a first-round TKO loss to former title contender Christian Lee in Jakarta back in January, who had been on a roller coaster ride in the win-loss column. Kelly tries to get back to the winning side when he takes on Korea’s Sung Jong Lee. Sibling Eric, who in a long slump, having not won a bout since 2015, tries to check a five bout losing skid when he takes on China’s Tang Kai. Strawweight Ramon “The Bicolano” Gonzales completes the Pinoy cast when he opens the event against Japan’s Akihiro “Superjap” Fujisawa. 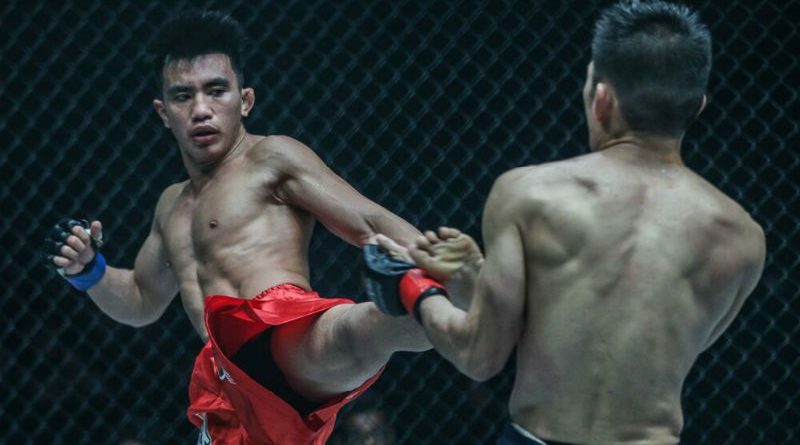 Co-headlining ONE: Roots of Honor will be reigning ONE Featherweight World Champion Martin “The Situ-Asian” Nguyen of Australia defends his title against former champion Narantungalag “Tungaa” Jadambaa of Mongolia. On the other hand, ONE Championship Chairman and CEO Chatri Sityodtong revealed shortly after Bibiano Fernades reclaimed the ONE world bantamweight championship via a disqualification victory that the Brazilian was not happy with the way he began his second World Title reign. As a result, Sityodtong announced the two athletes would renew their rivalry again and compete towards a more satisfactory ending. The confirmation came as Belingon was addressing the media after the bout. He was apologizing for inadvertently connecting the wayward elbow and his plans to go back to training in preparation for his next fight when Sityodtong told the Igorot star that he would have the chance to make amends against “The Flash” before he faced any other opponent, to which he was grateful to hear. Team Lakay was seemingly untouchable last year as they went collect titles here and there and eventually finish the year 4-0 in ONE Championship bouts and 2-0 in Brave Combat Federation title bouts. Of the five world titles they possessed to close 2018, only Stephen Loman was able to ward of his challenger and retain his crown, the Brave Bantamwieght crown.